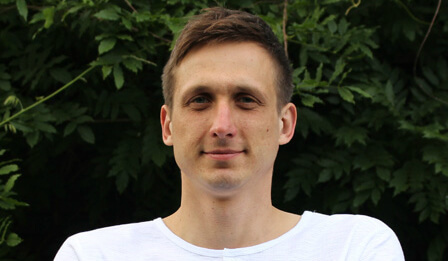 Newcastle’s Director of Football Joe Kinnear has been widely reported to be in Germany at the moment, trying to tie up a deal for Borussia Monchengladbach striker Luuk de Jong, but that would be an initial loan deal, and it looks like Joe will not make his breakthrough and make a permanent signing until the summer. But it seems that two good targets will escape the Newcastle net, with Blackpool winger Tom Ince in Monaco today discussing a potential deal, in the second smallest country in the world, and where there is no income tax. The other good player we will not be signing is Kurt Zouma, the impressive 19 year-old St. Etienne center-back, who is being courted by Chelsea. Zouma is very willing to join Chelsea, but he will not get immediate playing time there, so perhaps in the summer he would possibly still consider Newcastle, and he could get playing time at the club, especially if Fab Coloccini leaves to return home to Buenos Aries. But with some bigger clubs than Newcastle interested, it seems we have little chance of getting this very talented Frenchman to Tyneside. I’m not really convinced we were ever in for either player. 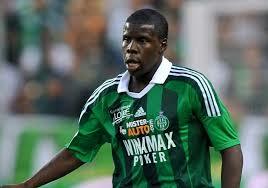 Much as I would have liked to have seen Zouma at the toon, I think it’s fairly obvious he will be joining a CL team. Ince, I am yet to be convinced is a top flight footballer, impressive as he has looked, his time at Liverpool has cast doubts that he can do it. Why would Ince want to sit on Monaco’s bench? @ for a sh*t load of tax free cash… obviously! Yeah people do find fault on many things, sometimes fairly, sometimes not. Probably being unfair to T sage as he has outlined.some.valid points from the portugal camp. They actually did an interview with the guy who organised Qatar’s world cup and he said it’s fine to drink over there, as long as you keep under control in public, but yeh i see your point. But surely if we are tired doing 2/3 fitness sessions abroad won’t help really? They’d be better off just having a week off, with some very light tactical/technical stuff in there. Rumour has it Monaco players are going to be taxed the same way as any other team playing in the French divisions! moanco also bought lacana traore and have loaned him straight out, might do the same with ince? he’ll be thinking he might as well make 80k a week and be loaned to a team that would otherwise pay him 20. Jesper…. Its twice as confusing as considering a few months ago he turned down cardiff because it was too far away from blackpool and now he’s talking to Monaco. Rainrix…kids these days are a confused lot no doubt! in fairness to him i’d love to have that money and live in monaco, would be a great place to play your football. same as teams like marseille, roma, psg, fiorentina…all in beautiful places to live. TS…isn’t the new tax rate in French football 70%? What I am hearing is players a flocking French because of it? i think it was 75% but going up a bit more now. Still monaco and psg have so much money they can still pay big wages. jesper, that’s correct. One of the reasons the high earners want to get out of there. Monaco is still exempt, although I believe FIFA attempted to place a restriction on them, however, currently they can still pocket tax-free cash. Nice work if you can get it. On signing any players i dont see us bringing any players in unless they are development players. Why oh why would we ‘give up’ on two long term targets so easily? We haven.t even tried yet? Where was our bid? Both are just what we need and that kid Zouma looks to be a star in the making. I bet whoever gets hi will have a world beater and his value will sky rocket. For a businessman like Ashley, this simply ‘giving up’ on EASY MONEY doesn’t make sense. Ince is another player I like that is destined to stardom if he can find consistency-which I am sure he will soon. Any player willing to spend on these two will see their value go up at least 5 fold. But instead we’re supposedly interested in a dutch player that can’t get a game in Germany and are willing to offload our striker who was a goal machine in Germany- where’s the logic in that!? These are the stupid decisions that piss me right off as we are again shooting ourselves in the foot! It’s like when we could have had Bale from Southampton for a measly 7M but decided he wasn’t worth it. Spurs then took the gamble and they made a profit of say 85M!! Some of this clubs decisions are just retarded and hard to take. Where the hell is our ambition, and why in the hell do we waste money in scouting these players long term if we then don’t even bid for them when the price is right? i guess it depends on the plan monaco have for him, if it’s just random loans and sitting on the bench dont go. Catchy…I thought you were based in Christiansand? I don’t know mate, sometimes a move overseas isn’t a bad thing for a player. Look at Steve McManammon at Real. He was a massive success there. I don’t suppose Beckham was wasting his time there either. It does often turn out poorly for brits abroad, anybody remember Ian Rush having an ill fated spell in Italy? Whereas David Platt thrived in Italy. French tax rule makes no difference to PSG owners but it may affect monaco as the tax free element has meant they can afford to match psg for players take home pay! Not sure they are able to match the wages whilst paying 80% tax! Monaco owner is very rich, but hes nowhere near in the league of the qataris! there have been a lot of french lads saying they now ‘fancy a challenge abroad’…which makes me laugh, nothing to do with tax. Doesn’t surprise me we’re not getting either. Never thought we were in pole position with Ince. As for the defender it’s only a recent link, which has been quickly scuppers. Conclusion is I’m not that bothered. In fact I expect to see this with 99.9% of players linked with us… As joe said himself 1/2 transfers is all we can hope for in a window. I was very clearly talking about drinking in the middle east. Not Tenerife. I am not in the mood to argue a different point to you than the one i was discussing with some other people. They can’t go out and get smashed over there like they did in european training camps, because they will get arrested. @catchy – how is Norway life anyway for an expat? The mrs’ is relocating to Tromso in August for a year and I’m going to be spending 3 months working in oslo and bergen aswell as quite a few weeks in tromso! It any good? Jayphoto…how can PSG pay their players taxes? Won’t PSG be taxed twice then? Jayphoto…Tromsø that is quite up North 🙂 Guess you can see the Northern Light then! …where are you based now? basically instead of paying the player 200k before tax so they take home only 25% o it they pay them 200k after tax….so pay enough so after tax they get 200k to take home.